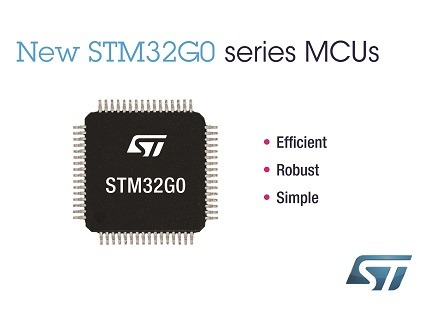 By adding the new STM32G0 microcontrollers (MCUs) to the STM32* family, STMicroelectronics (NYSE: STM), a global semiconductor leader serving customers across the spectrum of electronics applications, is stretching the portfolio of top Arm Cortex-M-core MCUs to more thoroughly cover key embedded-market segments. The new G0 series targets entry-level applications that require greater energy efficiency, functionality, security, and value, in a smaller footprint. Extremely flexible packaging and memory options enable designers to do more within less space, and save cost. 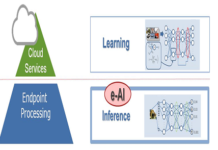 A new power-distribution architecture reduces external power and ground connections to just a single pair of pins, allowing more of the package pins — a precious resource in many embedded projects — to be allocated for user connectivity. In addition, ST is making large memory densities available in small and economical low-pin-count packages. On top of this, the new generation features power-saving innovations that trim consumption close to that of specialized ultra-low-power devices. 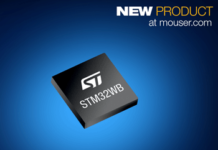 To provide robust security for today’s connected devices, the STM32G0 series introduces a variety of hardware-based features including memory protection to support secure boot. Some devices in the series add to these features an AES-256 hardware cryptographic accelerator with a true random number generator (TRNG) to aid encryption. The STM32G0 series is based on the Arm Cortex-M0+ core, which is conceived to deliver sharp performance within a tight power budget. 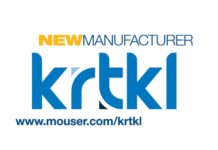 It targets fast-evolving products in the connected world, including smartphones, smart kitchen equipment, and appliances, air conditioning, consumer or industrial motor controls, advanced user interfaces, IoT devices, rechargeable connected devices, drones, lighting systems, and more. 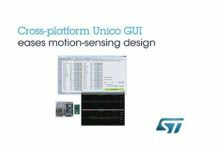 Further features of the STM32G0 MCUs help designers reduce the physical size and bill of materials for next-generation products, at the same time as boosting performance and functionality. Package options are available from 8-pin, enabling developers to easily upgrade aging 8-bit MCU designs, to 100-pin. Flash from 16KByte to 512KByte, with 512KByte available in packages as small as 32-pin, enables more sophisticated applications on small, low-cost products. The maximum CPU frequency of 64MHz permits high execution speeds, compared to typical entry-level MCUs. On the other hand, extremely flexible clock configuration allows users to tailor performance within the available power budget. The internal clock is remarkably stable and comparable to high-end devices, being accurate to within ±1% from 0-85°C and ±2% over the wider range from -40°C to 125°C. This not only saves the board space and pins needed to connect a dedicated external timing device, but also can trim at least 10 cents from the BoM. The STM32G0 series is extremely efficient, running at less than 100µA/MHz in run mode, and provides multiple reduced-power operating modes to save energy and extend battery runtimes. Devices draw as little as 3-8µA in stop mode with the real-time clock (RTC) running, and just 500nA in standby with RTC (all at 3.0V, 25°C). Moreover, peripherals are upgraded to enhance performance, speed, and accuracy. 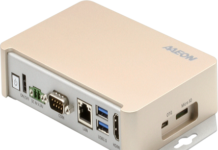 The devices feature a 12-bit 2.5MSPS ADC, with hardware oversampling for 16-bit precision. There is also a 2-channel DAC, fast comparators, and high-accuracy timers with 7.8ns resolution. In addition to permitting extra user-assignable I/Os, the internal (ST-patented) power-distribution scheme also helps save BoM costs by reducing the number of external power-supply decoupling components. Enhanced internal prevention of electromagnetic susceptibility (EMS) is yet another feature that saves board space and BoM costs. Protection against fast-transient bursts above 4.5kV, in accordance with IEC 61000-4-4, relaxes the demands for surrounding filtering components and eases board layout. 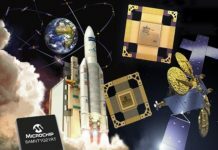 For product-development teams, the ability to easily ensure good electromagnetic behavior facilitates EMC certifications for faster time to market.